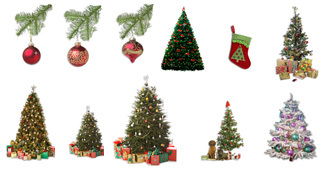 Get your own FREE Christmas Tree! Listen a nice Jingle Bells sound sample every hour. 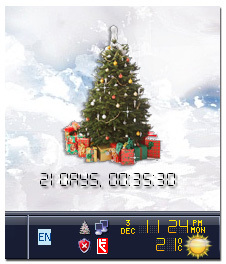 Bring Christmas to your desktop! Get your tree absolutely FREE! v1.8 - 12/02/2012 - Fixed settings. Fixed tooltips. v1.5 - 09/17/2008 - Updated Due Dates. 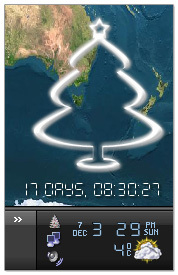 v1.3 - 12/07/2007 - Added countdowns until Christmas, New Year and Julian Christmas.